EcoHusky works closely with the Office of Environmental Policy to organize events and projects to promote environmental sustainability on and off campus. Members of EcoHusky promoted recycling a t Green Game Day this past Saturday, and will be teaching the public about composting at the Hartford Marathon on Saturday, October 10th. 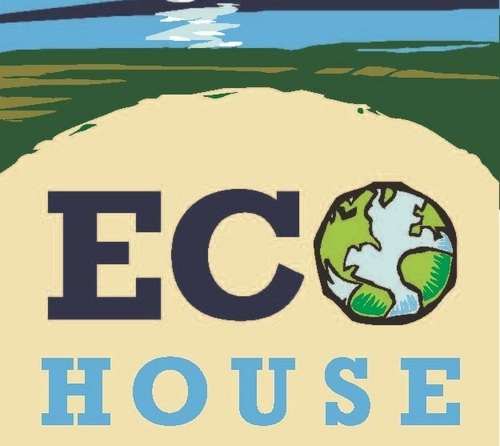 EcoHouse is UConn’s sustainable living and learning community located in Sprague Hall, comprised of students immersing themselves in a more sustainable environment. Spring Valley Farm allows a small group of students to gain first-hand experience working on a farm, and EcoGarden Club grows crops for UConn’s dining halls, an initiative supported by Real Slow Food, a group focused on the production and purchase of ethical, sustainable food. 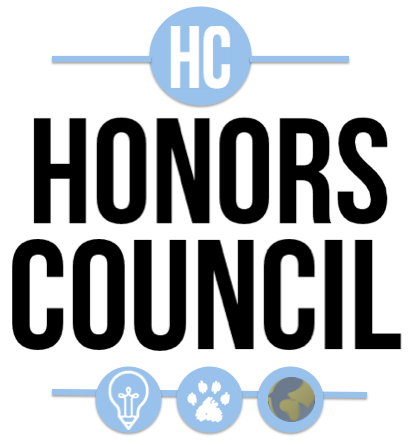 The Environmental Committee of UConn’s Honors Cou ncil is dedicated to raising environmental awareness not only to honors students, but to the entire campus, through a variety of events, such as their Alternative Recycling Initiative. ECOalition acts as a liaison between the various environmental groups and leaders on campus, encouraging collaboration and unity amongst them. For those of you who don’t know, UConn’s Hillside Environmental Education Park (HEEP) is actually a remediated landfill. 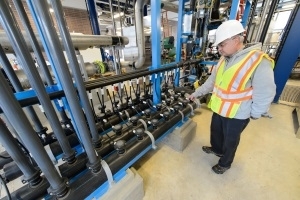 In an effort to diminish the chemical pollution of the landfill, the university implemented Wetland Mitigation and Closure Plans, and later constructed the HEEP to be used for research, education, and recreational p urposes. 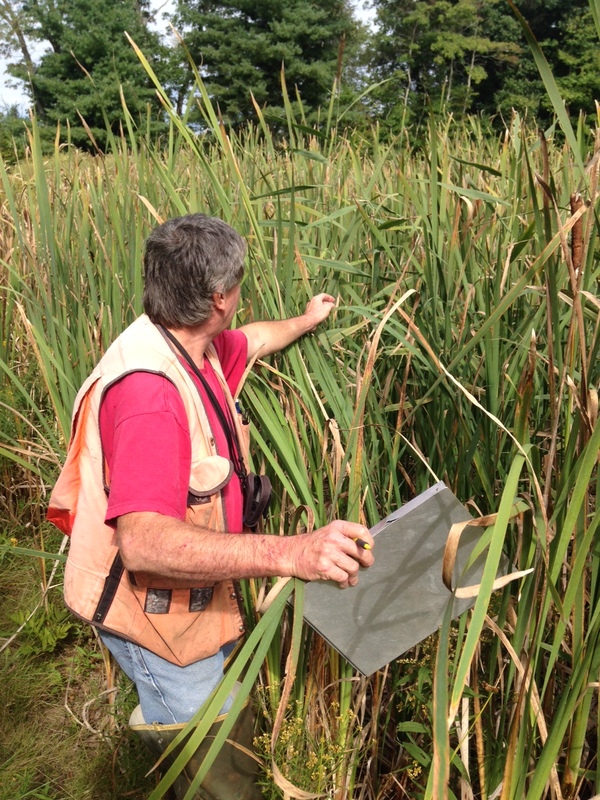 Continued monitoring of the wetlands is essential to protecting the vegetation and wildlife of the park. 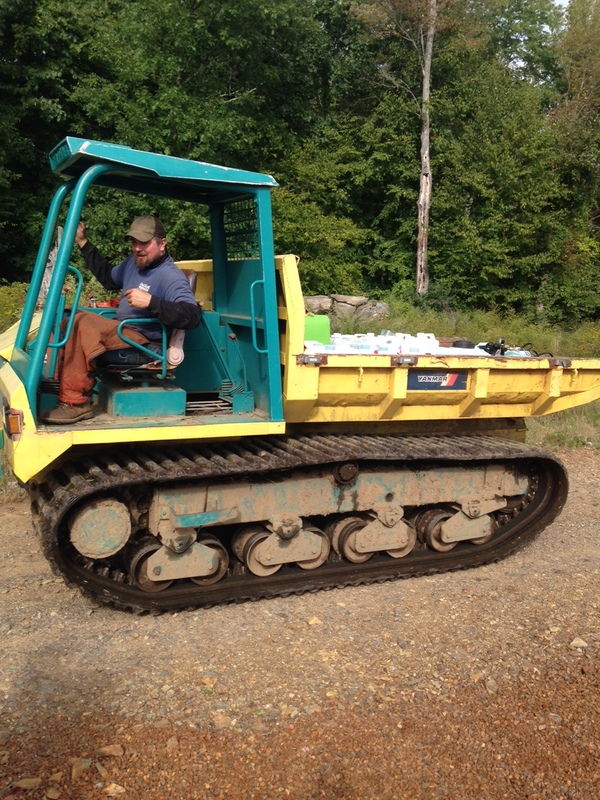 Today, Chris Mason, UConn’s wetland scientist and contractor of the HEEP project, led an invasive species removal effort in the park. Phragmites and Japanese Stiltgrass have been spreading and expanding throughout the HEEP, likely due to the dry weather and dispersal by deer and other animals, and are known to crowd out native species. The plan was to eliminate visible invasive through the application of herbicide, and to monitor the distribution and trends of these invasive species in order to protect the existing ecosystem. 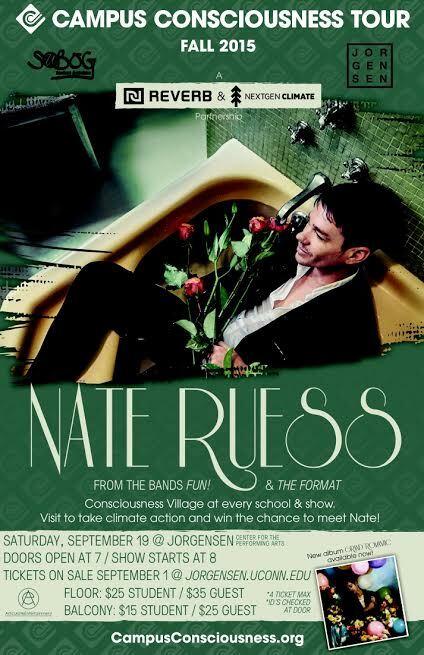 This Saturday, September 19th, Nate Ruess of the Grammy Award-winning band FUN and renowned Indie band The Format is coming to UConn as part of the Campus Consciousness Tour (CCT). REVERB and NextGen Climate have collaborat ed to systematize a music tour with an integrated environmental campaign. Having traveled to over 150 college campuses, CCT’s preeminent goal is to provide students with captivating musical performances that send a positive, educational message about social and environmental causes. 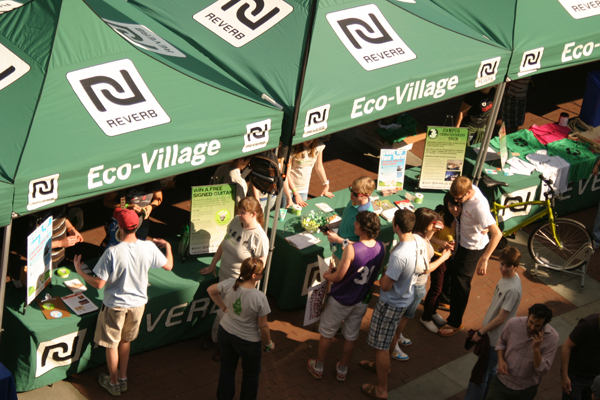 REVERB is a nonprofit organization committed to reducing the environmental impact of its tours, and promoting environmental sustainability to its audience throu gh a variety of approaches. Backstage greening programs, such as composting, recycling, waste reduction, and carbon offsets, as well as methods of fan engagement, including the Consciousness Village, social media campaigns, and an online carpooling resource, aim to reduce the environmental footprint of the tour, and inspire fans to create a more sustainable future. Throughout the day prior to the concert, various environmental non-profits will be tabling to promote sustainability with a variety of products, games, and prizes. With past headliners including Drake, J. Cole, and Wiz Khalifa, CCT’s environmental message has reached over a million students since REVERB was founded in 2004. If you are interested in attending the Campus Consciousness Tour featuring Nate Ruess, Jorgenson’s doors open at 7pm on Saturday, September 19th, and tickets are on sale now. We are all very excited about this integrative green concert, as it sends a positive message reflective of UConn’s commitment to protecting the environment. Although many of us enjoyed and continue to enjoy the beautiful, sunny weather that was characteristic of this summer, it is important to acknowledge the impact that this has had on our environment. On September 3rd, UConn issued a Stage II Mandatory Water Conservation Alert due to dry conditions that have led to a reduction in stream flows. Our own Fenton River and many others have exhibited flow rates close to or below the lowest on record for this time of year. A drop in water level is known to have an inevitable cascade effect that can lead to the loss of thermal refuges and cold water fish, as well as the diminishment of river water quality. It is imperative that we recognize that all environmental conditions, including droughts, affect everyone to some degree. Furthermore, everyone’s actions can either positively or negatively affect the situation at hand. Drought or no drought, UConn works to conserve water each and every day through a variety of efforts. The operation of the Reclaimed Water Facility and the installation of low flow shower heads and faucet aerators are just a few of our campus’s consistent approaches to water conservation. Nevertheless, it is crucial that students, faculty, and staff on campus take additional measures to conserve water during this alert. Upon the issuance of the Stage II Water Supply Watch, mandatory conservations became and remain effective. These include restrictions on lawn watering, washing motor vehicles, and using water for dust control. Equally as important are the voluntary measures that we can all enact to conserve water throughout our daily routines. 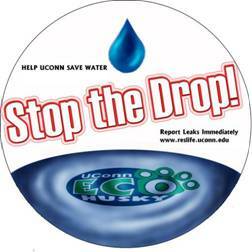 These measures include taking shorter showers, washing laundry in full loads, turning off the sink while brushing your teeth, and reporting leaky fixtures to “Stop the Drop.” We hope and expect that most members of the UConn community strive to implement these measures everyday despite the current dry conditions; however, if you are looking for a reason to begin conserving water, this is certainly the time. The start of the semester is looking bright, and we’re not talking about the glowing faces of the students strolling to their 8AM classes. 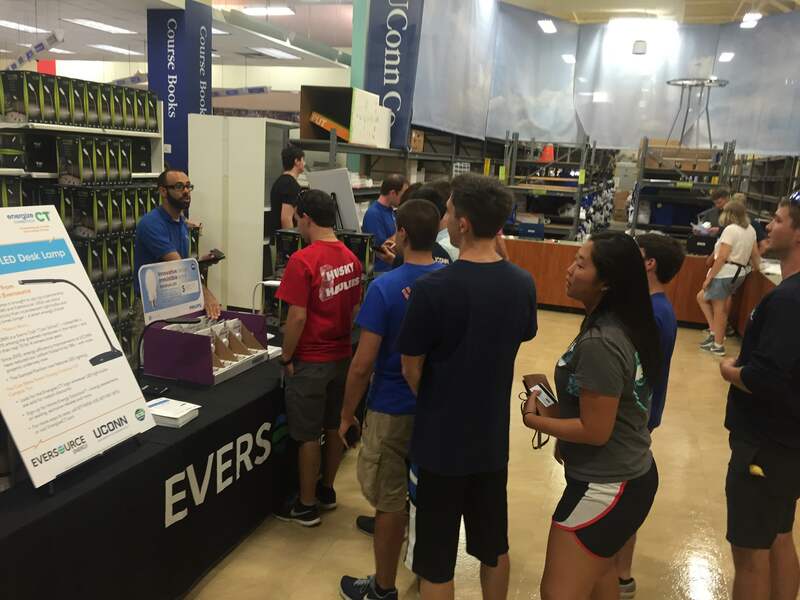 We’re referring to the 4,500 LED lamps distributed to new and returning students this past weekend. 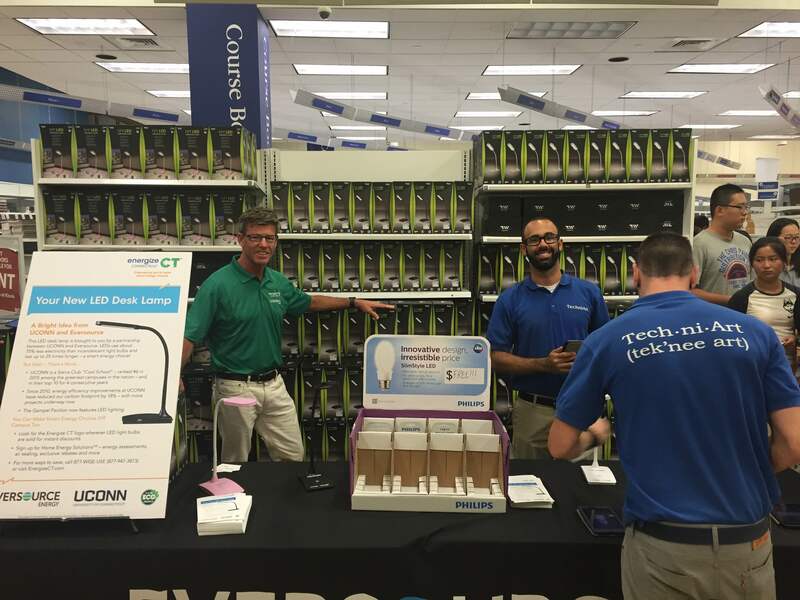 In past years, students picking up their textbooks at the Co-Op have been provided with fluorescent and LED bulbs; however, this year, UConn and Eversource exceeded all expectations with the allotment of energy efficient LED desk lamps. For those who do not know, light-emitting diodes, or LEDs, deviate from CFLs and incandescent bulbs in their light production efficiency. LEDs expend 75% less electricity than incandescent bulbs with a lifetime up to 25 times longer. We are all very grateful to Eversource, UConn’s electric utility company, for its generous support. 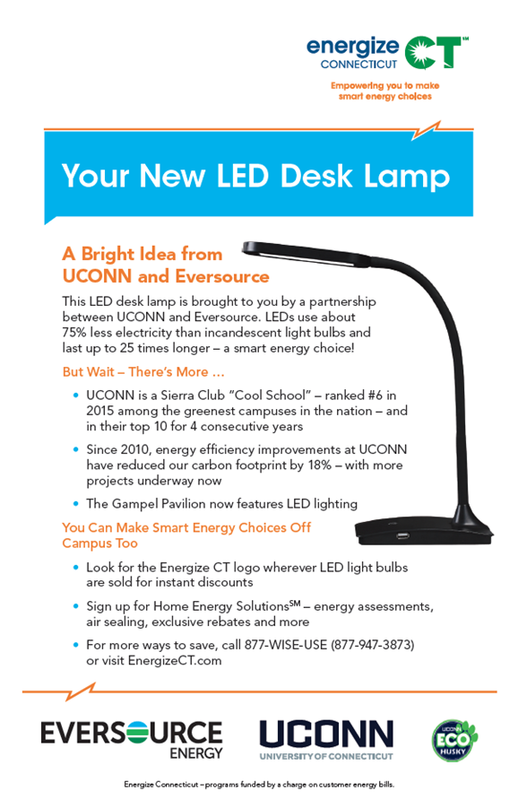 Apart from being energy efficient, the lamps distributed were eye-catching with a sleek design and UCONN logo in an array of colors. The built in USB port was also a great feature. It is no wonder that all 4,500 lamps were distributed by Day 3 of the event. This success can be defined not only by the great amount of lamps given out, but by the message the event conveyed. 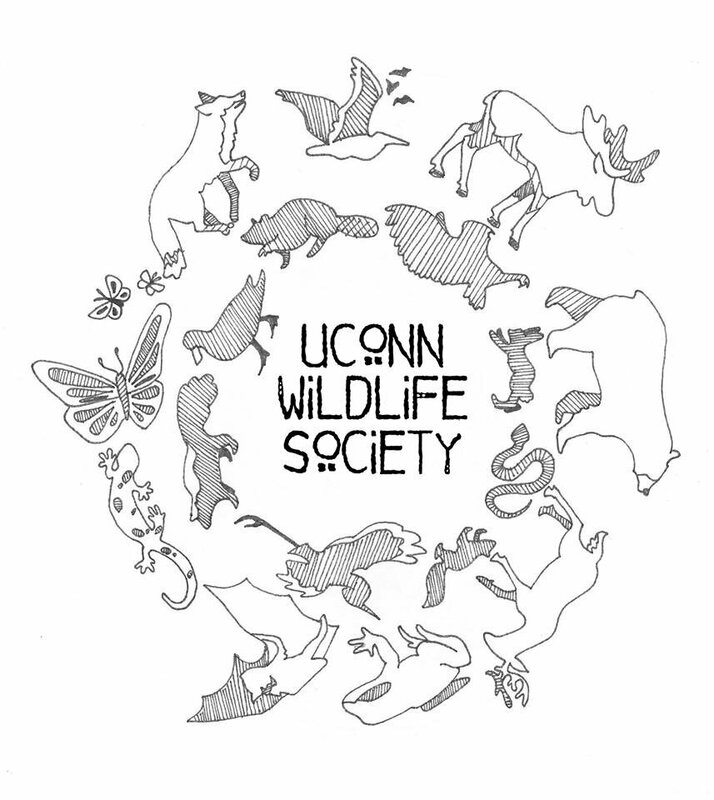 To students and parents present, UConn’s commitment to the environment was made all so evident. This and other displays of effort and success are reflected in UConn’s #8 ranking in 2015 and consistent top ten ranking in Sierra’s Cool School annual sustainability survey of the greenest colleges and universities in the United States.